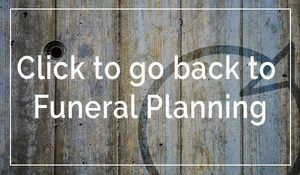 For many, a traditional burial or cremation at a church or cemetery overseen by a conventional funeral director does them quite nicely. Though, there’s a whole range of options when it comes down to it. Many of the options you may not have come across before, and others you may not even wish you had – but these are all potentially possible. Here’s the list of options available to you. This involves putting a body in a deep grave, usually in a cemetery or churchyard. The majority of cemeteries are non-denominational. You can buy a grave plot before you die, get it done on a whim or be buried in already existing spot, all for a fee. Here your body will be incinerated at a high temperature, and after around 2 hours the remaining bone fragments will be ground down into finer ashes. The ashes are then placed in a container to be given back to the family to decide what to do with them. Also known as woodland burial, you’ll be buried in a way that will not harm the environment and may even preserve the landscape. The requirements for natural burial are that the body isn’t embalmed, a biodegradable coffin is used and a marker or memorial won’t be used. Dalton Woodland Burial Ground, Lancashire. You might think being buried at your home would be both hard work and unfeasible. You’re wrong: all you need is a deep enough hole, away from a water source, and to notify the council or landowner. You can either donate individual organs or your whole body. Depending where you live, donating your organs involves filling out a form and letting your family know. Donating your body will take the place of a burial or cremation, whereas after donating an organ you can then have a funeral service. The HumanTissue Authority are a great resource for finding out more on organ and body donation. Or, visit the NHS website dedicated to making decisions about your body. The Human Tissue Authority is also a great source of information. Not only for those in the Navy, everyone can be buried at sea. The service will need to take place in one of the designated areas in the UK, after you’ve applied for a licence, hired a large enough boat and checked the weather forecast. A new technology, similar to cremation but without the fumes, where a water and alkaline solution dissolves the body and reduces it to its basic elements. Then, once drained, your left with the white powder left over to do as you wish. Also known as ‘deep freeze’ funerals, your body is bathed in liquid nitrogen for around an hour where it will cool to -192C. The body crystalises, or ‘freezes’, and can then be crushed into smaller particles. 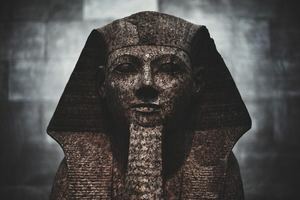 Making a comeback, the ancient practice of mummification is on the rise. 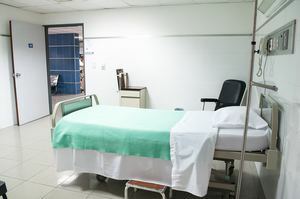 Initially, in the US, there’s a waiting list for human mummification at a considerable price. Cryonics is still a work-in-progress and there’s no guarantee of reanimation at the end. The idea is that your body will be frozen at a low temperature and preserved in a liquid nitrogen tank. Then, you’ll be brought back to life through unfreezing. Here in the UK, for the time being, there’s conflict around whether this is a legal or assisted death. This is a new venture where your body is placed in a biodegradable bag, or ‘suit’, and buried. The bag itself is made up of mushrooms and other microorganisms that aid in decomposition and transfer nutrients to plant life.